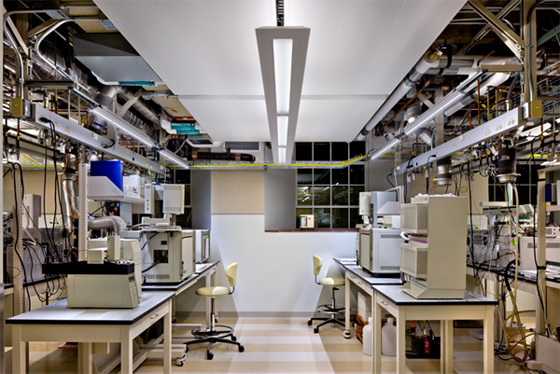 The Environmental Analysis Center supports research at Caltech with a broad array of state-of-the-art instrumentation for chemical analysis. Part of the Environmental Science and Engineering program and located in the Linde Center, the EAC collaborates with Caltech scientists from many Divisions - including Chemistry and Chemical Engineering, Engineering and Applied Science, and Biology. The degree of collaboration can vary widely from project to project. Many scientists learn to operate the instrumentation and perform their own analyses. We encourage prospective collaborators to contact us as early as possible to determine the methods to apply to their project. Dr. Nathan Dalleska directs the Environmental Analysis Center.